Rojone has been in the connector business since 1978. 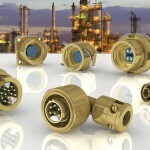 We are experts in our field, stocking over 40,000 line items manufactured by leading international military and professional connector manufacturers such as Radiall, Times Microwave, Pasternack, Trompeter and Tajimi as well as designs specifically created by Rojone for unique customer applications. Rojone not only sells quality connectors, we offer an expert value added termination service, providing our clients with quick turn-around custom flexible or semi-rigid cable assemblies, manufactured by qualified IPC trained technicians, delivered 100% tested and ready to use. Times Microwave provide high reliability Hermetic Microwave Feedthru’s, SMA, N & TNC configurations, featuring extreme high power capability, VSWR 1.15:1 @ 18GHz. Available in a wide range of shell materials including Stainless, cupro-nickel, Inconel and other ferrous & non ferrous alloys. Times has just released a new range Heli-Foil™. This is a new range of high performance low loss coaxial cables offering ultra-stable insertion loss, phase & VSWR on flexing. Uniquely this cable has been released with an excellent range of DC to 18GHz, bulk SMA, N & TNC connectors for self-assembly. Pasternack offers a massive 4000+ range of coaxial connectors from stock. Use their Connector Wizard to make your selection. Tajimi offers an excellent range of Triaxial connectors & HDTV Fibre Optic connectors for TV camera applications.